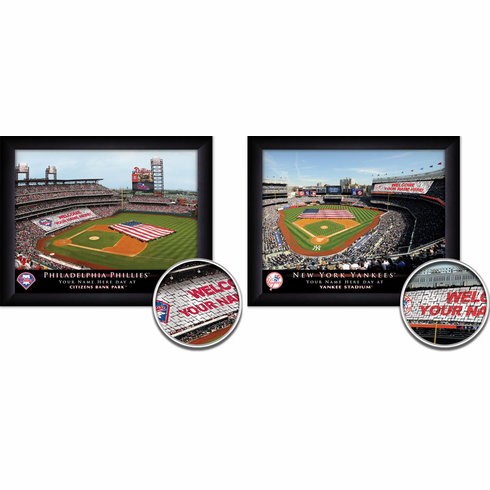 These personalized stadium card stunt prints are great for the home or office. You can personalize the card stunt to read WELCOME Your Name or with any other text that you want! 11" x 14" black frame. 28 character limit including spaces for each line and for the name at the bottom. We will contact you immediately with any questions or problems. These Card Stunt Personalized Stadium Prints are available in MLB Baseball, NFL Football and some college football stadiums!